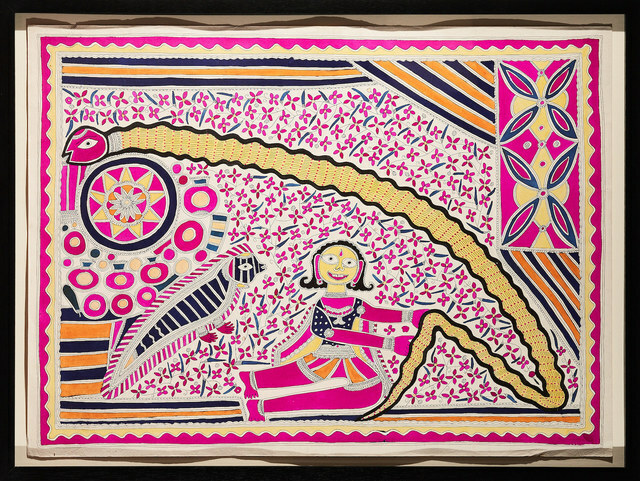 Madhubani Paintings from the Indian Art Collection, Columbus, Ohio are fine examples of this famous Indian art form. 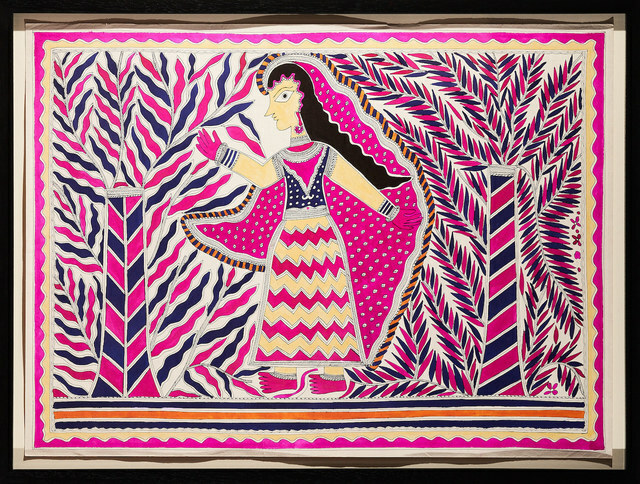 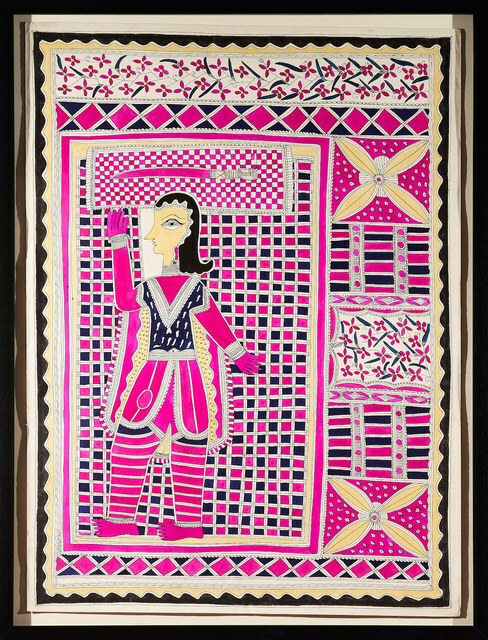 These works on paper depict tradition narratives based on Hindu iconography. 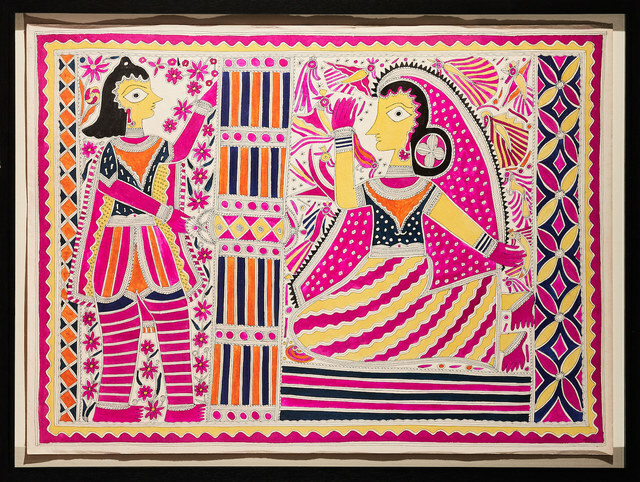 The characteristic geometric style with bright colors made from natural sources are trademarks of the style of painting from the Bihar region. 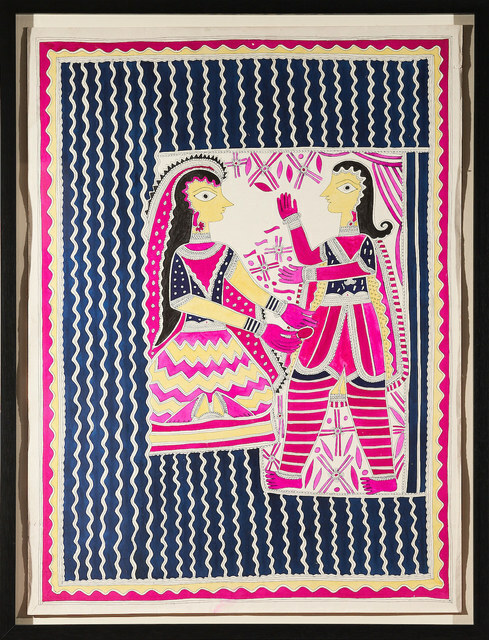 This traditional folk art style is continued today and influences new generations of Contemporary artists with the complex subject matter and the simplicity of form. 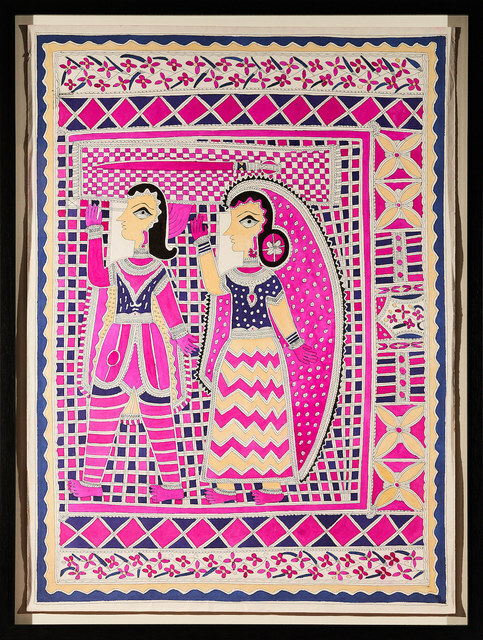 The paintings are on view at the Indian Art Collection at DLZ, Columbus, Ohio thru January 2019.